Karangahape Rd is one of Auckland’s most important, historic and iconic streets. It’s a street that’s going to see even more people and transformation in coming years, especially with the construction of the City Rail Link and Light Rail. Throughout its week-long run, nearly 400 people stopped by to experience Karangahape Road in virtual reality, view the precinct parking plan, consider some initial thoughts on construction, and nod along to Friday afternoon funk from the pop-up’s resident DJ Tito Tafa. Attendee feedback is helping the team understand how they can best support the community during construction. At pop-up-end the “How can we make this better?” poster was covered in post-it notes. Comments included: “Natural light through hoardings”, “Remember Pride Parade in Feb”, and “Maintain access into apartment buildings on side roads”. Road’s First Thurdays event. 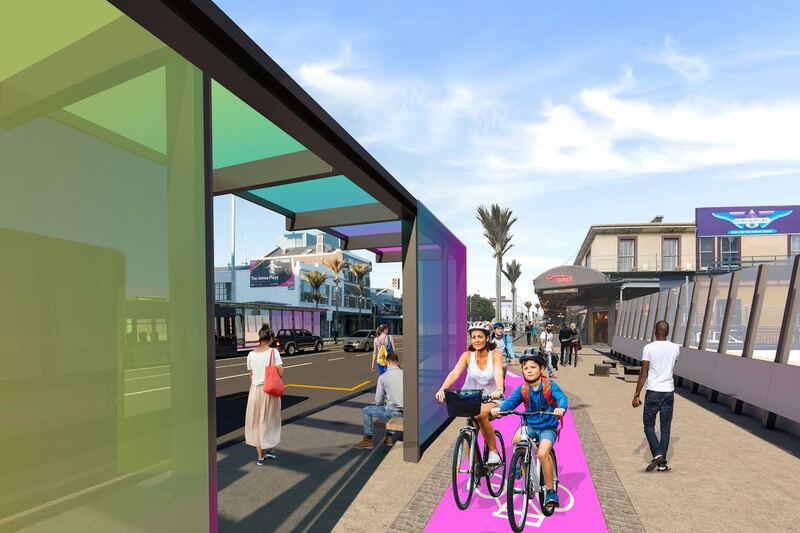 With a planned construction start date of early-2019, the pop-up is an opportunity to find out more about this much-anticipated joint Auckland Transport-Auckland Council project and give your feedback. 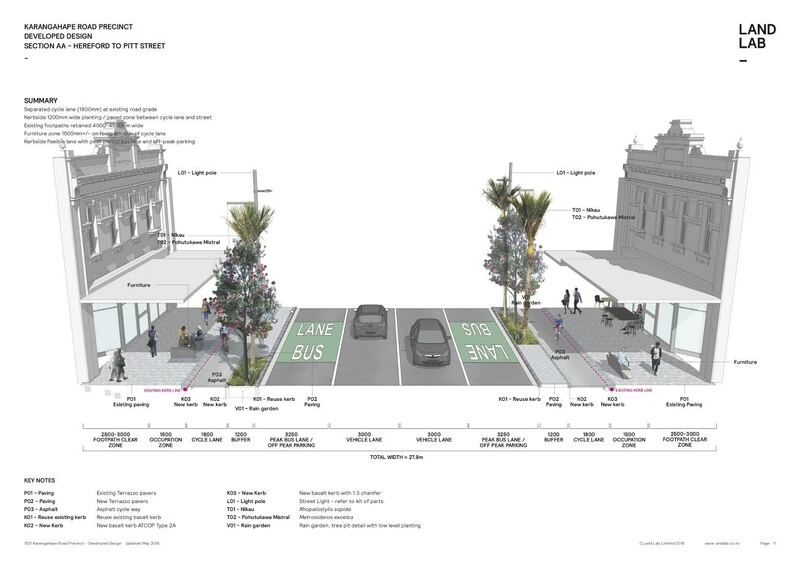 Visitors to the pop-up can expect visual displays, up-to-date project information, and a virtual reality vision of Karangahape Road’s future, now just around the corner. It’s bit late notice but if you’re in the area and interested in the project, pop along and have a look. The plans being put out so far are looking great. The project has been underway for a few years now but a lot of that time has been needed to get the design right. We don’t want another West Lynn fiasco after all. Construction is expected to start on it early next year. Light rail runs nearby on Queen Street. Seems they are consulting well on this one. Back in 1981 I used to cycle from Mt Albert in to work in Queen Street and was severely admonished by an old traffic officer for riding my bike along K Road. He told me that K Road was no place for cyclists. Sad, really. If he was a long-time Aucklander he would have known a more cyclist-friendly city in his youth. 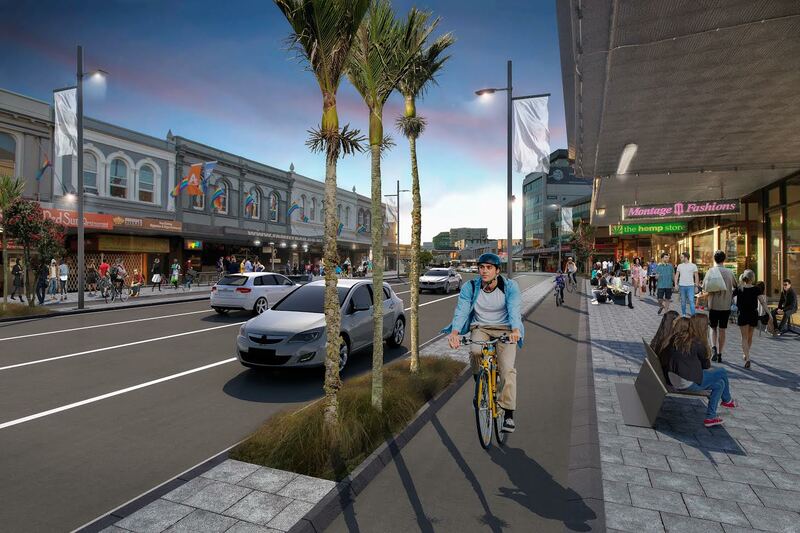 I guess we’re lucky that for those of us who grew up in auto-dependent times, we have the internet to inform us about other options Auckland can choose. The kerb separating the footpath from cycle lane is a good improvement over what has been built through the Mt Albert shops, which I think is unsafe and don’t use. But I’d still wonder if they’d be better separated by the tree planting and putting the cycle lane immediately adjacent to the bus lane. I may end up riding in the bus lanes. Think you get into problems of the trees too close to the roof lines.